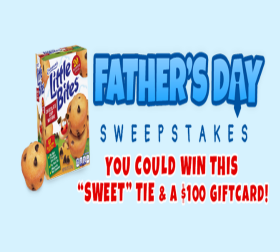 Entenmann’s Father’s Day Love Little Bites® Sweepstakes – Win a Little Bites tie & a $100 Amazon gift card! Win a $100 Amazon gift card & an Entenmann’s Little Bites Muffin Tie (5 winners)! ENTRY LIMIT – Limit one (1) registration form Entry per person using only one (1) e-mail address for the duration of the Sweepstakes Period. ELIGIBILITY – Sweepstakes is open to legal residents of the fifty (50) United States and the District of Columbia who are 18 years of age or older at time of entry. SWEEPSTAKES ENTRY PERIOD – The Father’s Day Love Little Bites® Sweepstakes starts on June 1, 2018 at 12:00 a.m. Eastern Time (“ET”) and ends on June 15, 2018 at 11:59 p.m. ET. PRIZES – FIRST PRIZES (5): Each winner will receive a $100 Amazon gift card, an Entenmann’s® Little Bites® Muffin Tie and a $5 off coupon to purchase Little Bites Muffins. 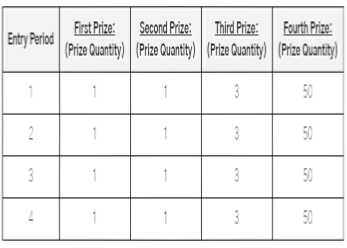 Approximate Retail Value (“ARV”) of each prize package: $132. 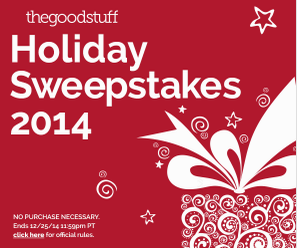 The Coupons.com “The Good Stuff’s Holiday 2014” Sweepstakes – Win a $500 Amazon gift card! ENTRY LIMIT – Limit fifteen (15) Entries per person during the Promotion. ELIGIBILITY – The Coupons.com “The Good Stuff’s Holiday 2014” Sweepstakes is offered and open only in the fifty (50) United States (including D.C.) (U.S.), to individuals who are 18 or older at time of entry. SWEEPSTAKES PERIOD – Promotion starts at or about 12:00 am Pacific Time (“PT”) on December 8, 2014 and ends at or about 11:59 pm PT on December 25, 2014. PRIZES – Sweepstakes Prize (1) per sweepstakes drawing, three total: a $100 Amazon.com Gift Card (approximate retail value (“ARV”): $100 each). Grand Prize (1): a $500 Amazon.com Gift Card (ARV: $500). 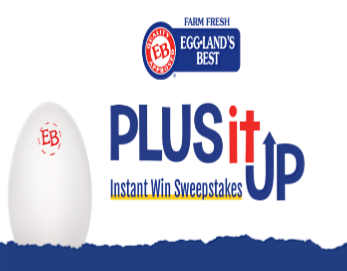 Musselman’s Growing a Healthy Family Sweepstakes – Win a trip to Pennsylvania! Win a trip to University Park, PA & more! ENTER SWEEPSTAKES HERE – Musselman’s Sweepstakes page. ENTRY LIMIT – Limit one (1) Sweepstakes entries per person per week during the Promotion Period. Each weekly entry period begins on Tuesday. ELIGIBILITY – The Sweepstakes is open to legal residents of the fifty (50) United States and the District of Columbia who are at least eighteen (18) years old as of the Sweepstakes Start Date. 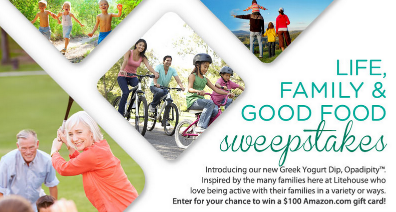 SWEEPSTAKES PERIOD – The Growing a Healthy Family Sweepstakes begins on or about 12:00:01 p.m. Eastern Time (“ET”) on August 19, 2014 and ends at 11:59:59 p.m. ET on November 10, 2014. PRIZES – There will be one (1) Grand Prize winner and eight (8) Featured Prize winners. The Grand Prize Winner will receive a 3 day/2 night trip for four (4) to University Park, PA. The trip package includes: 1) round-trip coach airfare for four (4) from the major commercial airport nearest the winner’s home (determined by Sponsor in its sole discretion) to designated airport nearest University Park, PA ( if winner resides within 200 miles of University Park, PA, Sponsor reserves the right to substitute ground transportation), 2 ) Hotel accommodations for 2 nights for four (4) people in a (quadruple-occupancy) room, 3) four (4) show tickets to the Musselman’s Apple Sauce Family Skating Tribute presented at Pegula Ice Arena at Penn State University (Sunday, 10/9/14), 4) Access to the dress rehearsal and post-show reception with cast meet and greet, and 5) transportation to/from airport to the hotel. The Approximate Retail Value (“ARV”) of the Grand Prize is $4,400. The Grand Prize Trip must be taken on the 2014 dates provided by the Sponsor (October 8-October 10) or prize will be forfeited and no compensation will be awarded. Each Featured Prize winner will receive a $100 Amazon gift card. Winners will be subject to the gift card terms and conditions. The ARV of each Featured Prize is $100.